Which aspect of your finances did you or will you make your highest priority when looking to get your first or next mortgage? Applying for a mortgage can be both a complex and intimidating affair for many, and one that can become very costly if you don’t put your finances in order. Here at Earl Shilton Building Society, we pride ourselves on going the extra mile for our members by having qualified mortgage advisors on hand to help go through all the finer details with them. Be that as it may, it really is invaluable to be prepared for your mortgage application, which is why our December poll asked people which aspect of their finances they did or will make their number one priority when looking to get their first or next mortgage. 64% of those who took part said that they considered saving as much money as possible towards a deposit as the most important factor. 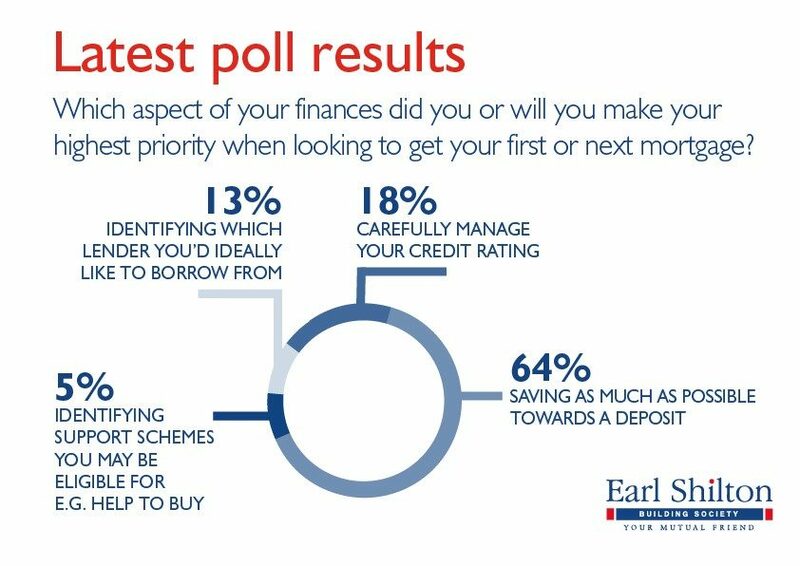 While 18% agreed that careful management of their credit rating was at the top of their list of priorities, a further 13% were most concerned about identifying which lenders they’d ideally like to borrow from. 5% responded that the first thing they would do is identify support schemes that they may be eligible for, such as the Government’s Help to Buy scheme.